In these days of the never-ending vintage revival, it seems that every brand has to have a heritage collection, regardless of whether they have any actual heritage. That’s not a problem Tissot has to deal with, as the brand dates way back to 1853, a depth of history that’s reflected in the strength of their current heritage lineup. 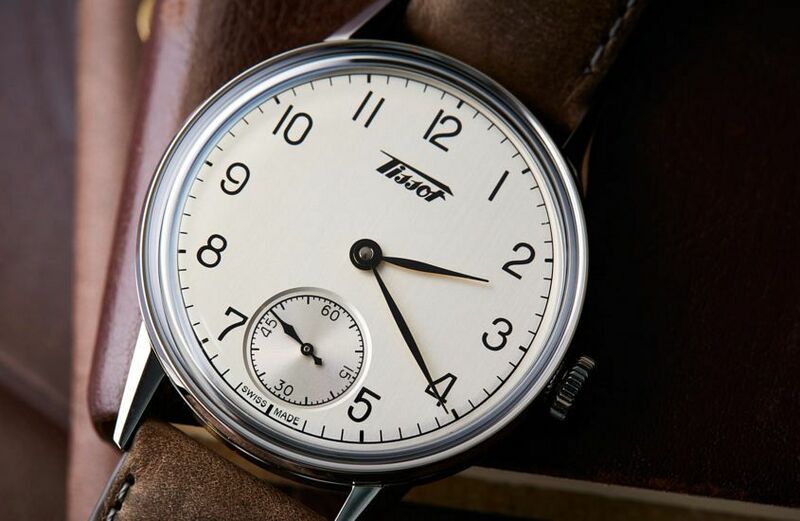 The latest member is this handsome fella, the Tissot Heritage Petite Seconde, a hand-winding hero based on a 1943 design, which is entirely suited to the modern day. There’s an interesting story about this reissue, and it centres on one word on the dial. 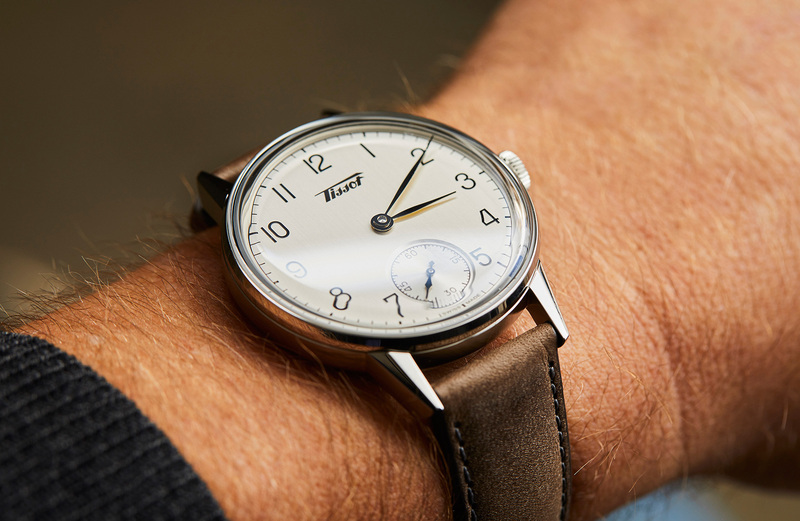 The Heritage Petite Seconde is a tribute to an antimagnetic watch from 1943. 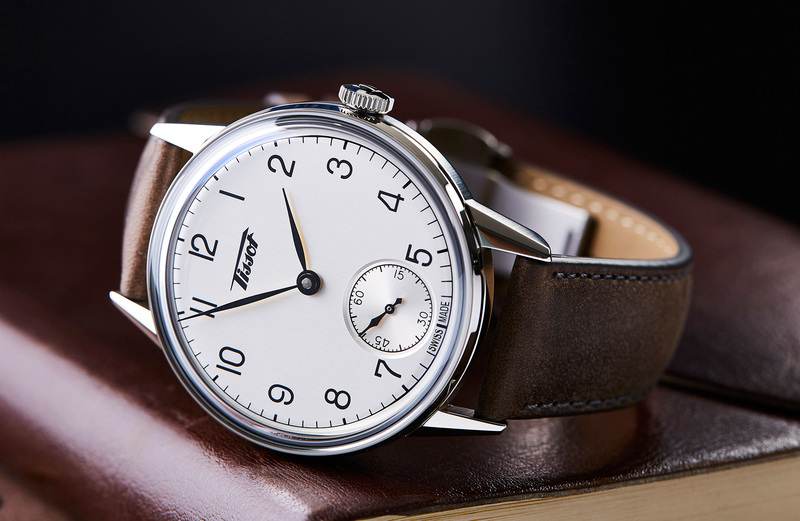 When the watch was originally shown at Baselworld this year it featured a line of text reading ‘antimagnetique’ under the wonderfully retro, sweeping Tissot logo. As you can see, that word is no longer there, likely because, while the watch was antimagnetic 70 or so years ago, technology has moved on, and it wouldn’t be accurate to call the watch antimagnetic by modern standards. And so, now that the watch is in production, that problematic line of text is gone. And while it added some charm, I don’t particularly miss it, as there’s plenty going on with the dial as it is. It’s silver, with a very light vertical brush, and all the other details are black, meaning legibility isn’t an issue. The sans serif Arabic numerals are plain, but the font still manages to look exceptionally mid-century. Pleasingly, the font on the main dial matches the seconds subdial. The hands are black, and leaf-shaped — long, thin and very stylish. And while you could easily get lost in the details of the dial, for me it’s the whole picture that impresses the most; it has just the right amount of negative space and subtle treatments to ensure its heritage style has modern-day appeal. The steel case of the Heritage Petite Seconde was, for me, the biggest surprise about this watch. I was expecting something chunkier, more tool-like in appearance and construction. Instead, I found the 42mm wide by 11.4mm tall case (it would be hard to fit this particular movement in anything smaller) was refined and dressy, full of pleasing curves, giving it a warm, pebble-like feeling. The crystal is a nicely domed sapphire, held in place by a narrow, polished bezel that proves some contrast to the case middle and lugs, which are brushed on the sides. The crown on this watch is particularly important, as you’ll be winding it every day or so – and I think it strikes the right balance between unobtrusive and functional. 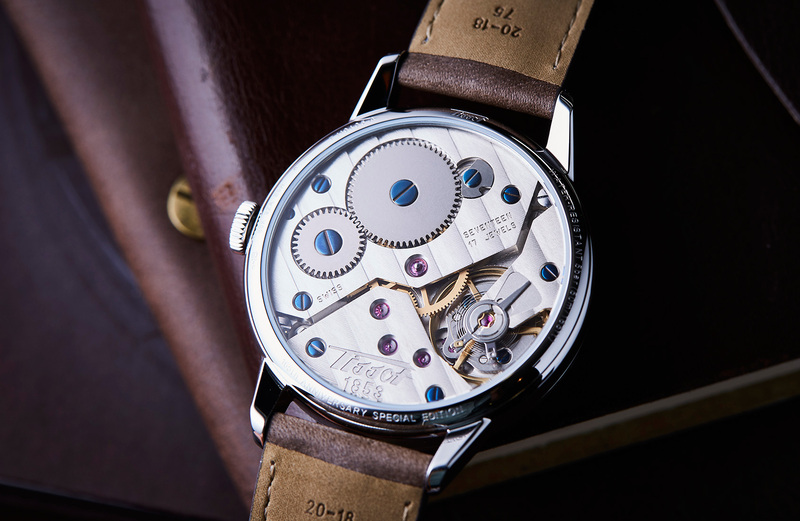 The calibre on view through the expansive clear caseback is, in its own way, legendary. It’s the ETA 6498-1, a simple, ever-reliable hand cranker, originally born in 1950, that has shown up in all kinds of watches, from smaller boutique brands all the way up to Panerai and Omega. It’s a movement with a heritage to match the look of the Tissot, and its finishing, machined perlage, chemically blued screws and sheer expanse means that it gives quite a show. 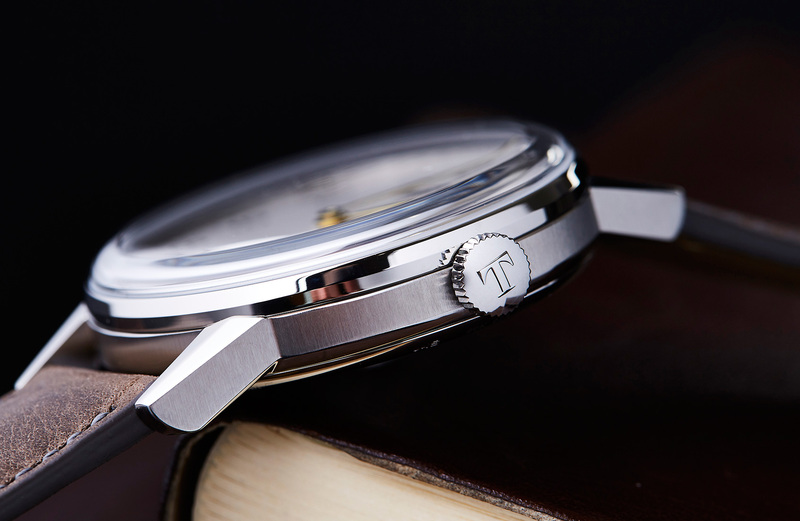 I was so pleased Tissot opted for a 20mm strap here. It wouldn’t have been out of the question to go for a 22, but I think that would have messed up the proportions, resulting in a watch that looked too bulky on the wrist. The choice of vintagey brown calf is safe, but with just the right amount of heritage appeal. It comes with a double-fold deployant, which is absolutely fine, but I would have preferred a more traditional tang-style buckle. I’ve owned quite a few watches powered by this same large movement. It’s no coincidence that I’ve sold all these watches after a fairly short amount of time, simply because I always found the watches overly clunky or chunky. 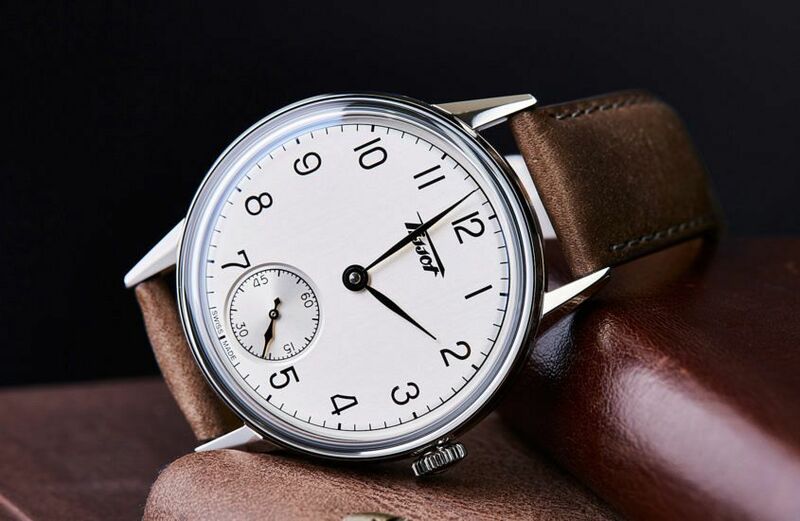 I can’t see that being a problem with this watch, however; it wears much smaller than you’d think, and thanks to all the curves, it’s smooth on the wrist – I can comfortably see this as an everyday piece. 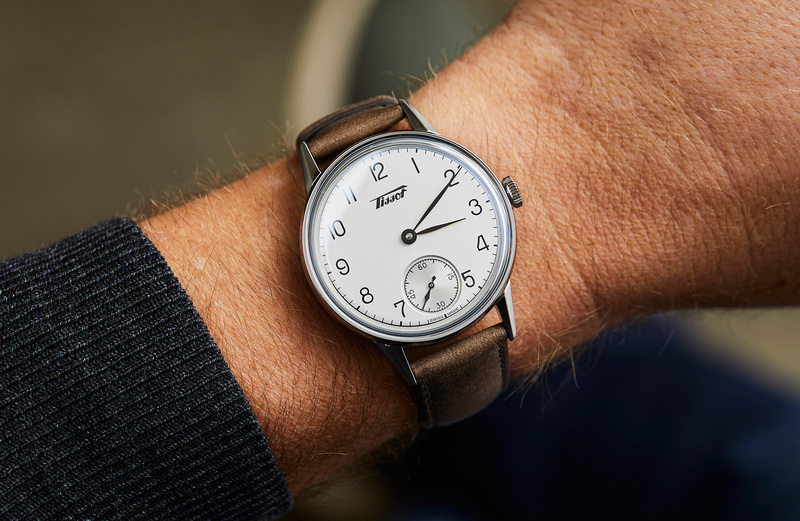 Tissot are cranking out some exceptional watches at the moment, and the Tissot Heritage Petite Seconde is no exception. Good looks, great wearing experience, and a value proposition that’s hard to beat. Would you like to wind my watch? Well, anyone really, but especially heritage fans and people looking to get into mechanical watches. If we could squeeze this movement into a 40mm case that’d be amazing, but it’s not going to happen. More achievable, though, is swapping the deployant for a tang buckle. Tissot Heritage Petite Seconde, $1425. 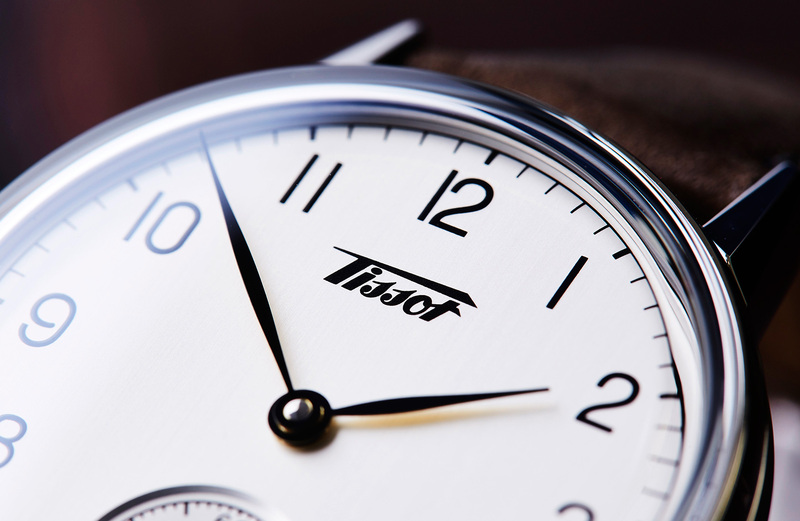 The Tissot Heritage Petite Seconde is available to purchase from the Time+Tide shop.